I just love when I receive professional pictures from the talented photographers I get to work with. Mitch Wojnarowicz Photojournalist took these lovely pictures of Matt and Sherry's wedding at the gorgeous Otesaga Resort Hotel in Cooperstown New York. He was a phantom throughout the day, and managed to capture their wedding in true photojournalistic style with amazing results! One of the most beautiful ceremony settings ever. The flowers are only an ehancement to the astonishing surroundings. Hard to compete with Mother Nature!!! Brides bouquet. I just love everything about it! Phalenopsis orchids are so dramatic. Centerpiece of calla lilies, ferns, orchids, hydrangea, and fiddleheads. 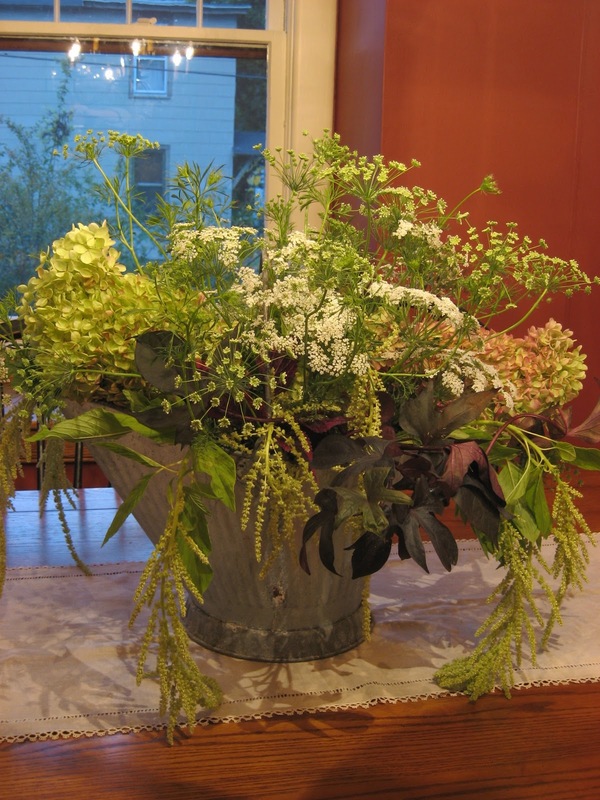 The mantle was decorated with moss, branches, a varitey of ferns, lily of the valley, lysimachia, and hanging amaranthus. It was a tiny enchanted forest, minus the gnomes and unicorns. A week ago I lost my furry child. Brady was the best dog anyone could ever ask for. 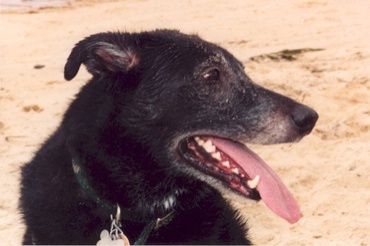 He was loyal, sweet, silly, and played a mean game of frisbee. I wouldn't even go out on an official first date with my husband until I had Mr. B's approval! He transitioned amazingly well from only child, to big brother of 3. To tell you the truth, I feared for him more than the kids, "Brady is not a horse", "You can't give the dog a haircut", "Brady's water bowl is not a swimming pool for Fisher Price Little People"..... An old friend sent me the story of the Rainbow Bridge. I had never heard of it, but it brought great comfort to me. I love the idea that he is somewhere beautiful, full of vigor, restored to health, waiting for me to cross over the bridge someday with him. Thank you Brady for an amazing 14 years, you will always have a special place in my heart. The roses above were sent from my parents in condolence, thanks Mom and Dad. I believe they came from 1-800-flowers. 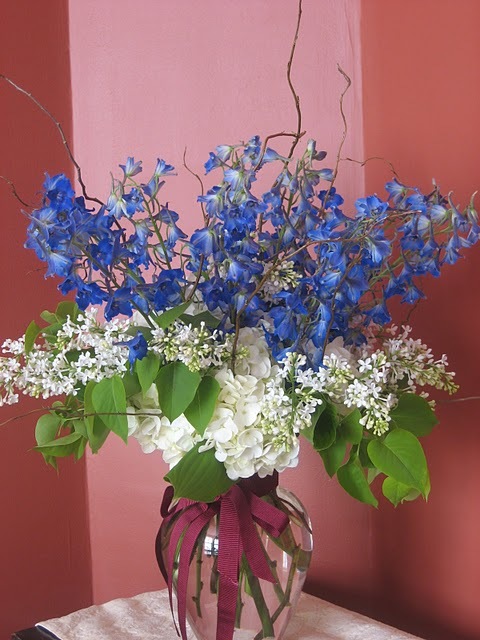 Even a florist likes to receive flowers! I did not use the vase the bouquet came with. I arranged them with some cedar branches from my yard into a mercury glass vase. I know I am not cookie cutter; ordinary makes me cringe. I love unusual materials, so much so that I am willing to grow them and nurture them over an extended period of time to achieve a certain look. I love designing in antique containers and have spent countless hours scouring antique stores and eBay to find just the right vessel. I am a meticulous researcher. I really want my couples to have a perfect wedding; and not just the flowers - I love to help concerning all details if needed. To say I am passionate about my work is an understatement. I feel extremely lucky to do what I love. This is an old coal bucket my Mom and I found in a little place in Brewster, MA. I immediately saw it's potential to hold overflowing rustic flora and fauna. 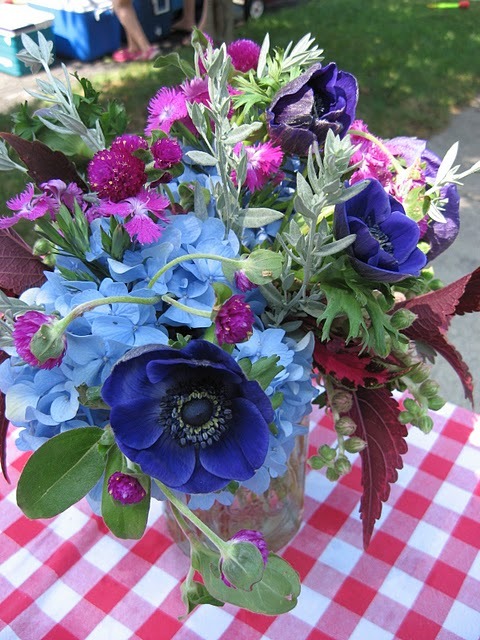 Rare summer anemones, hydrangea and coleus from my garden in a vintage mason jar.